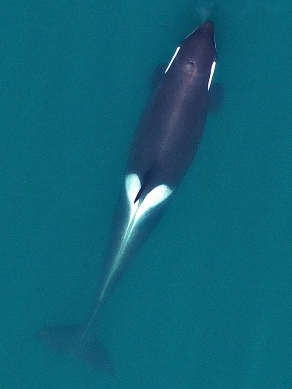 About a month before the Center for Whale Research last observed Granny, the killer whale, the elder orca was pictured in aerial photos by researchers from NOAA’s Southwest Fisheries Science Center. Granny, or J-2, shown in poor body condition in September. The last aerial photos of Granny showed her to be in “poor body condition,” according to a report from marine mammal researcher John Durban on NOAA’s website. 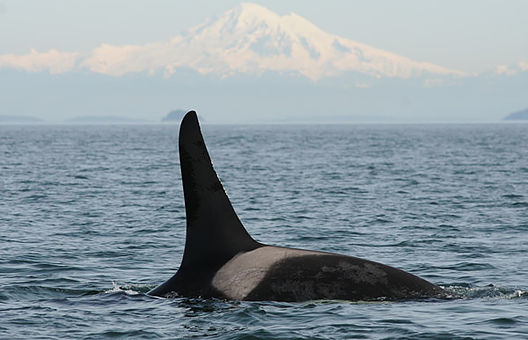 Granny, designated J-2, was missing for weeks before the Center for Whale Research gathered enough observations to announce her death on the last day of 2016. The oldest whale in the three Southern Resident pods could have been more than 100 years old, according to estimates, as I discussed in Water Ways on Jan. 4. The aerial photos, taken from a small unmanned hexacopter, are used to monitor the health of the orcas, John noted in his report. The photos taken in September show Granny to be thinner than other adult females. The photos on this page show Granny (top photo) to be thinner than J-22, a 32-year-old female named Oreo (second photo) who was reported in “robust condition” and may have been pregnant.